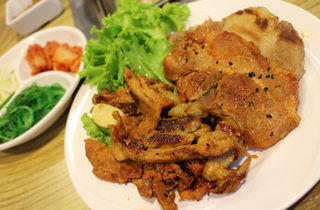 With a whole market of students from the many schools in its vicinity, I’m KIM Korean BBQ keeps its barbecue prices low. 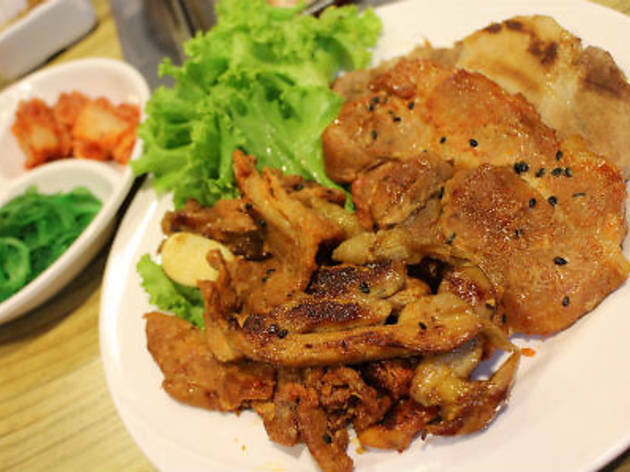 The offering here is the standard fare of marinated pork, chicken and beef, four soup bases – kimchi, mushroom, ginseng and seaweed – plus a special spicy volcano chicken and pork dish that comes cooked. Come for the buffet lunch ($14 on weekdays, $24 on weekends) or buffet dinner ($22 on Mon-Thu, and $24 on Fri-Sun).